I love these enamel utensils. Same D.C. area boutique. Same iPhone. 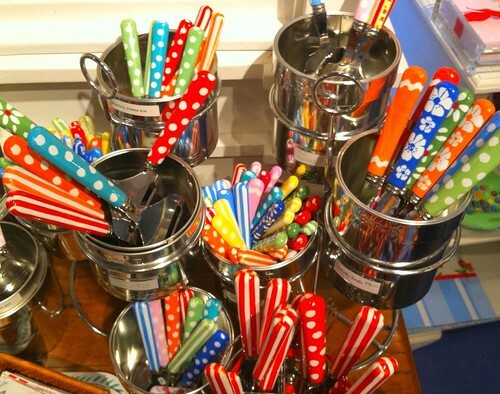 This entry was posted in photography and tagged color, enameled utensils, flatware, iPhone, polka dots. Bookmark the permalink. love these patterns & colors – I must have gypsy blood in me !